Emka TLR-VAA Telemetry ECG Input Hub Multichannel I/O Hub . New Life Scientific, Inc. 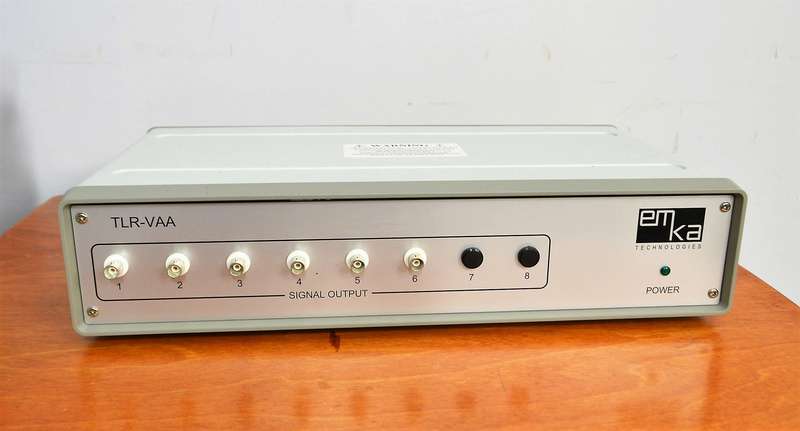 This is a 2-port input hub with 6 output ports. This piece of equipment was used in animal testing cubicles. The technicians visually inspected the TLR-VAA and noted that the device powers on. NLS did not acquire software or cabling required to operate this system.